Miss Nepal 2018 found its queens last night, when amongst pomp and show four beauty queens walked hand in hand to complete the class of Miss Nepal 2018. Amongst the many titles and awards that were passed on, there was the coveted title of Miss International Nepal 2018. The responsibility of the title Miss International Nepal 2018 has landed on the shoulders of Ronali Amatya. Ronali had to compete against a total of 25 contestants to win the crown. Miss International Nepal 2018 Ronali Amatya received her crown from predecessor Miss International Nepal 2017 Niti Shah. Ronali will now represent Nepal at the 2018 Miss International pageant where Miss International 2017 Kevin Lilliana will crown her successor. 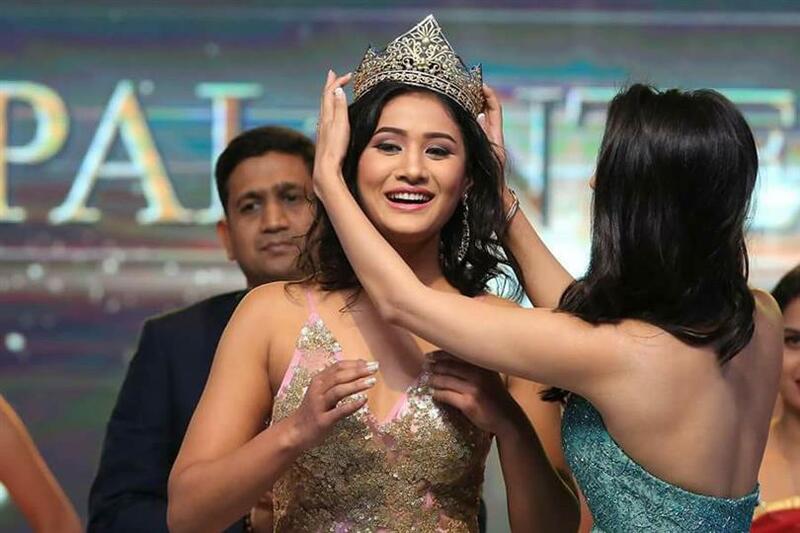 The Miss Universe 2018 crown was won by Manita Devkota, and she was crowned by Miss Universe Nepal 2017 Nagma Shrestha. Miss World Nepal 2017 Nikita Chandak passed on her crown to the gorgeous Miss World Nepal 2018 Shrinkhala Khatiwada. Miss Earth Nepal 2017 Rojina Shrestha also passed on her crown to Miss Earth Nepal 2018 Priya Sigdel. The 22-year-old is from Kathmandu, who aspires to inspire other people in any way she can. Ronali is a business graduate and a freelance model. Before coming to Miss Nepal, Ronali was the outreach program coordinator at Mentorship Pathway. This will not be her first time representing Nepal at an international platform. She has also represented Nepal in 2017 at the Miss Eco International pageant. This could be considered an advantage for the beauty queen when she represents Nepal at the Miss International 2018 stage. Ronali had worked as a ramp model and is featured in magazines and online portals. She had also participated in the fashion show held at Namuna College of Fashion Technology. She was one of the winners of Model Hunt Nepal 2016, held in October of 2016. The winners, Top 14 and special award winners were updated live on our website as well.